Acer manufacturer recently introduced its newest laptop model, known as the Aspire 7552G which is also designed with the VISION Technology features, similar to the one used in the Aspire M5400 desktop version. Along with this technology, it comes with mobile processor in the likes of the AMD Phenom II Quad-Core Mobile processor and also an ATI Mobility Radeon™ HD graphic card for enabling HD gaming capability. Acer also provides its customers with a variety choice of screen sizes to choose ranging from 14.1-inch, 15.6-inch or even a 17.3-inch wide display for users to enjoy the HD quality images. All of the display screens are also designed with an aspect ratio of 16:9, with LED-backlit for reducing its energy usage so that its battery life would be able to last much longer and also a more balanced brightness level. Other features of the Acer Aspire 7552G laptop also include a Blu-ray player, plus an HDMI port for enabling easy connectivity of the device to the latest HD displays, television as well as projectors for viewing any of your favorites movies in full HD. For now, we know that this Toshiba laptop is available in different configurations with a choice of either a Core i5 520M or a Core i3 350M processor with your budget in mind. The most expensive one comes with a 128GB SSD whereas there are the ones affordably priced which comes with 320GB HDD. Also on these laptops are a 4 or 8GB of DDR3 memory and not forgetting the internal Intel WiMAX card. Also featured are Gigabit Ethernet, HDMI and three USB 2.0 ports including an eSATA combo port. Onboard the laptop is a D-sub connector, a pair of audio jacks, an SD card reader and a Type II PC Card slot. It comes with a standard DVD combo drive. The laptop comes with a finger print scanner that can be found between the track pad keys. This Toshiba laptop is priced at a whopping $2846 in Japan. Very exciting news today specially for Toshiba fans. This news excited us as well only to the point where we realized that if we were in Japan, being excited would have made sense. See, Toshiba has launched their new Core i laptop that is set to work for 16 hours thanks to its long lasting battery life. Purchasing a laptop, many consumers pay more attention to the price, features and the battery life as why would anyone buy a laptop without checking how long the battery will last? How would it serve as a portable device then? Let’s get back to Toshiba in Japan. 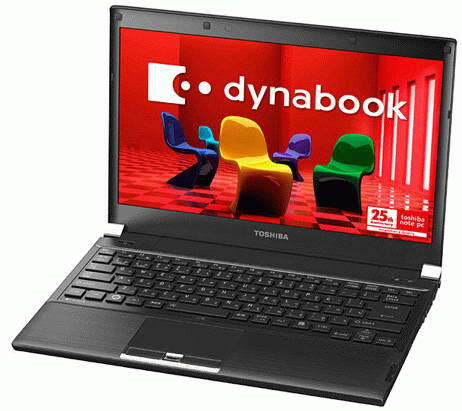 The new Toshiba model named the dynabook RX3W comes with a 13.3-inch display screen with a resolution of with 1366 x 768 pixels and works on a standard 35W Core i processor. 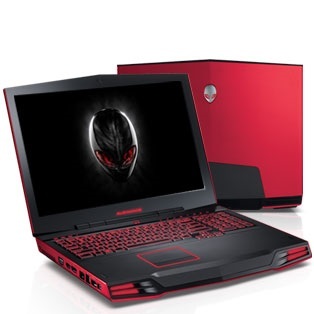 It is powered by Intel’s HD graphics which makes it alright nothing much to boasts about. It is not that heavy, thanks to its light chassis. Toshiba recently launched a new laptop from their Portege R700 line called the R705. The Portege R705 might look like Apple’s MacBook Air if not for the colorful designs that this laptop comes in. It is a little thicker than Apple’s laptop weighting in at three pounds. Though if compared to Apple’s MacBook Air, there are pros and cons but we won’t get into that. This laptop comes with three USB ports a built-in Ethernet port; an HDMI port; and a memory-card reader. The HDMI port can be used for direct, high-definition connection to your TV. Almost all laptops now come with an HDMI port. There’s enough memory capacity to keep everyone happy; 500GB HDD & 4GB Memory. The device runs on the 64-bit version of Windows 7 Home Premium. The R705 comes with more than four hours of battery life which is good when it comes to its type of battery and specially this is when it is used heavily. During normal circumstances, the battery is expected to last more than five hours. At the moment, on Toshiba’s own site, the Portege R705 is being offered for $890 but for those who want it at a cheaper price, Best Buy is currently offering it for $800.